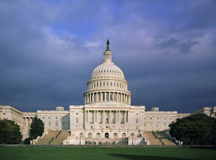 SENATORS INTRODUCE BILL TO LIMIT AUTHORITY OF SECRETARY OF HHS: Last week, Senators Tom Coburn, MD ( R-OK), John Barrasso, MD (R-WY), Rand Paul, MD (R-KY) and John Boozman, OD (R-AR), introduced, S. 2278, the Safeguarding Care of Patients Everywhere Act (SCOPE ACT). This legislation aims to protect the physician-patient relationship endangered by repealing section 1311(h) of the Affordable Care Act (ACA). According to the Senators, this provision grants the authority to the Health and Human Services Secretary to determine whether a doctor is providing “quality health care measures” and can prohibit health insurers from working with medical providers who don’t meet Secretary-established criteria for quality. This Senate bill is a companion to a House bill that was previously introduced by Rep. Phil Gingrey, MD (R-GA). At this time there is little legislative activity to report; however, NASS will continue to monitor this legislation and provide any updates as they become available. SENATE SENDS SHORT-TERM SGR FIX TO PRESIDENT’S DESK:On Monday, the United States Senate voted 64-35 in favor of delaying cuts to Medicare physician reimbursements for one year as a result of the sustainable growth rate (SGR) formula. The bill, Protecting Access to Medicare Act of 2014, is identical to H.R. 4302 passed in the House of Representatives last week, was signed into law by the President. The bill received heavy criticism from physician groups as it allows the Centers for Medicare and Medicaid (CMS) to identify misvalued codes used under the Medicare Physician Fee Schedule. This provision is expected to cut $5 billion from the physician fee schedule over three years beginning in 2017 and will be used to partially offset the cost of the yearlong patch. delaying recovery audits (RAC) on unnecessary claims through March 2015. OUTLOOK DOES NOT FAVOR REPEAL THIS YEAR: Despite the recent vote, leaders in the House and Senate said that passage of a short-term SGR fix doesn’t preclude Congress from passing full repeal and replacing legislation before the end of the year. However, considering the proximity to this November’s mid-term elections, and the traditionally inactive lame duck season that follows, the prospects of repealing the SGR this year are very slim. NASS will continue to urge members of Congress to work together to pass the previously agreed upon bi-partisan, bi-cameral SGR repeal legislation as the negotiations over offsets continue. HOUSE PASSES SGR LEGISLATION WITH CONTROVERSIAL OFFSET: Last Friday, the House passed (238-81) legislation to replace the sustainable growth rate (SGR) that is paid for by delaying the implementation of the Affordable Care Act’s (ACA) individual mandate for 5 years. The vote was passed mostly on party lines, with 12 Democrats voting in favor of the bill. The House bill is not expected to be considered by the Senate, as Democratic leaders have indicated that the offsets were a non-starter for negotiations in that chamber. SGR BALL IS NOW IN THE SENATE’S COURT: Senate Democrats are expected to bring an SGR bill (S. 2110) to the floor later next week that is compromised of the same SGR replacement policy as the House bill. However, unlike the House bill, the Senate’s bill contains zero offsets and incorporates additional Medicare riders, collectively known as “extenders.” Senate Finance Committee staff have indicated to NASS that their aim between now and next week’s Senate vote will be to convince as many Senate Republicans to support S. 2110. At this time it’s unclear whether Democrats can muster enough votes in the Senate to pass a stand-alone SGR bill without a payfor. When asked how Senate Democratic leaders were planning to persuade their colleagues on the other side of the aisle to pass their bill without offsets, Committee staff indicated that they were very confident in being able to reach an agreement on offsets once the Senate bill is passed. In other words, Democratic Senators are asking Republicans to take a leap of faith by voting to pass the SGR replacement bill without any offsets, and at the same time, giving Republicans assurances that a deal on payfors will be made once the bill goes to a conference between the House and Senate. This course may ultimately be the last path for the SGR to get across the finish line in time before another patch is set to expire by April 1, 2014. NASS URGES CONGRESS TO ACT BEFORE APRIL FIRST DEADLINE: Last week, NASS sent a letter to House and Senate offices expressing support for the SGR replacement policy that was agreed upon by the three original authoring committees – House Ways & Means, Energy & Commerce and Senate Finance. In the letter, NASS also cautioned lawmakers over the use of partisan payfors that could be used to derail the bi-partisan spirit of the original legislation. NASS will continue to urge all Members of Congress to seek a bi-partisan solution to offset the cost of repealing the SGR. Additionally, NASS will once again gin up its grassroots efforts and urge NASS members to continue to send letters on the SGR to their federal legislators. NASS’ previous call to action generated nearly 500 messages to 104 House and 70 Senate offices. On February 29th the House Energy and Commerce Health Subcommittee approved the Medicare Decisions Accountability Act of 2011 (H.R. 452) with no amendments and a bipartisan vote of 17-5. This legislation will repeal the 15 member Independent Payment Advisory Board (IPAB) which was created during the development of PPACA to reduce Medicare spending. H.R. 452 has a bipartisan group of cosponsors, including members of the full committee from both sides. Reps. Frank Pallone (D-NJ) and Edolphus Towns (D-NY) joined their Republican colleagues in supporting the bill, but were determined to differentiate their rationale; “My vote in support of abolishing IPAB is not related to my support for the ACA, it is based on my belief that Congress must stop ceding legislative power to the executive branch. For me, this is about Congressional prerogatives being limited,” said Ranking member Frank Pallone. The bill passed by a voice vote in the full committee March 6. On Monday, House Republican leaders announced plans to introduce legislation that would extend a middle class payroll tax holiday but not include a solution to Medicare’s sustainable growth-rate formula for physicians; a measure that House Speaker John Boehner (R-OH) deemed necessary due to lack of bipartisan effort from Democrats to discuss payment for the SGR. With the March 1st deadline for payment cuts still approaching, both parties decided the issue could not be put off any longer. Negotiations resumed, and a resolution was reached: The SGR will be paid for through a combination of bad debt payment cuts, DSH cuts and cuts to health reform’s Prevention and Public Health Fund. GOP Conferees anticipate push-back from Tea Party members unwilling to vote for a $100 billion payroll tax cut extension without a pay-for, but Speaker Boehner has expressed confidence that he will be able to put together enough support to get the plan through. Last week the House voted to repeal the Community Living Assistance Services and Supports program (CLASS Act). Created by the 2010 health reform law, CLASS was designed as a voluntary long-term care insurance program to give people who pay into it protection against the costs of disability. Since its inception, the legislation has been widely criticized as financially unsustainable. Twenty-eight Democrats joined the unanimous Republican effort in the 267-159 vote passing H.R. 1173.